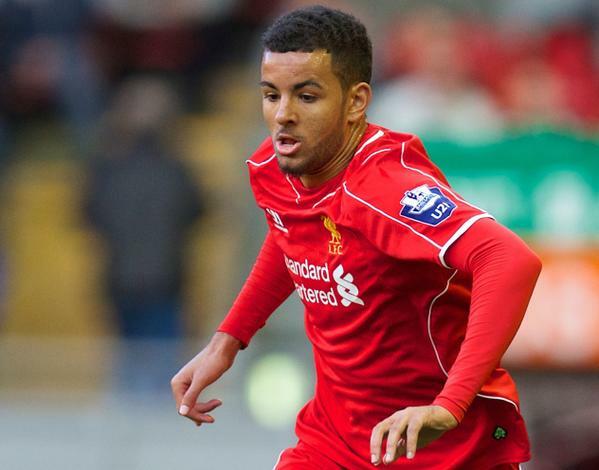 Kevin Stewart is a promising defender who joined Liverpool's Academy in July 2014 after leaving Tottenham Hotspur. He is a full-back who can play on either flank and teams up again with Alex Inglethorpe who knows him well from his Tottenham days. Stewart was born in Enfield, London, and joined the Spurs Academy in July 2010. In March 2013 he was given the experience of going out on loan to Crewe Alexandra. He started the 2014-15 season with the U21 squad and then joined League Two outfit Cheltenham Town on a month-long loan in January 2015 before returning to Anfield on February 2. The defender was on the move again at the end of March, heading to Burton Albion for another spell of first-team football. Stewart scored a dramatic winning goal against Cambridge United on the final day of the 2014-15 season which saw Burton Albion seal the League Two title. In July 2015, Kevin agreed a loan switch to League One outfit Swindon Town. He was recalled by Liverpool on January 8 2016.